It was a nerve-wrecking few days for many at our Kopitiam subforum. Some eagle-eyed members found that there was a glitch over at Sony’s online store, which displayed PS3 sets going for as low as RM79, and even free for certain models. It led to quite a discussion at the forum thread (which eventually overflowed with comments, that a V2 thread was opened), as well as our front page write-up and our (and also Sony Malaysia’s) Facebook page. 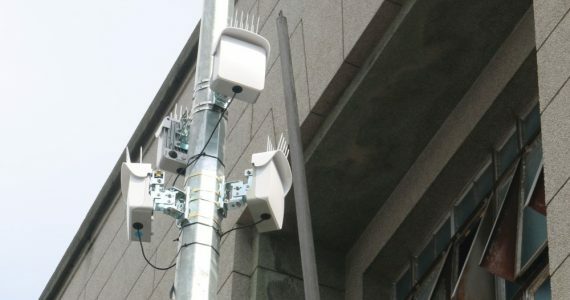 A quick scan in the thread revealed that as many as 1000 units were ordered last Saturday when the error popped up, which would have meant over RM1.1 million in losses for the company were they to honour the orders received. Unfortunately, Sony has decided not to honour the orders. 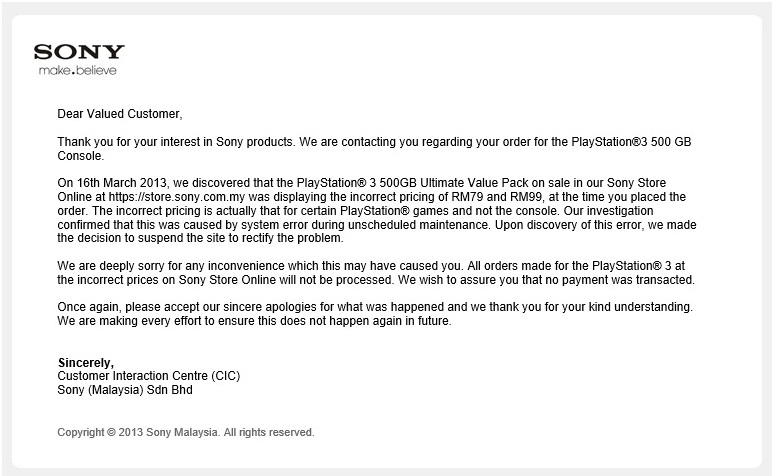 In an email sent to all who ordered it last weekend, Sony Malaysia apologised for the incorrect pricing, where the RM79 and RM99 price was meant for certain PS3 titles, and not including the console. Internal investigations conducted by the company revealed that this was due to a “system error during unscheduled maintenance”, and as such, the company will not be processing any orders made during that period.